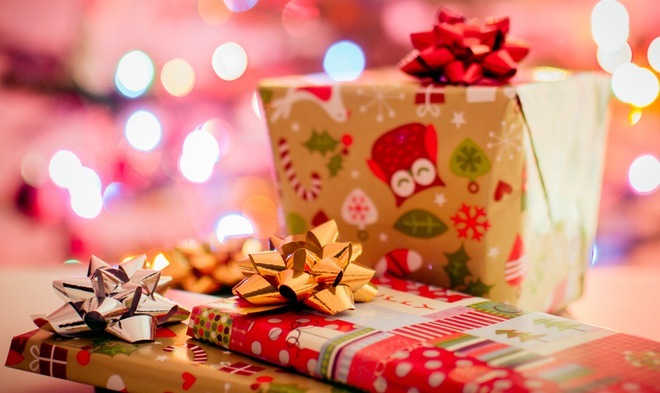 When you add everything up at the end of the holidays, it seems wrapping your gifts absorbs a lot of your budget and time, especially if you have a lot of people to give to, or several large presents to wrap. Sure, we can head to the dollar store for their cheap rolls of paper, but have you noticed how little is actually on those rolls? You have to buy a shopping cart full to be able to wrap everything. Those rolls add up quickly. Not everything fits in gift bags, and those add up even faster than paper. I know this sounds tacky, but with a little brown twine and some holiday gift labels, you can really make this look cool. It’s going to give the gift pile under your tree a really retro, antique type of a feel. You can usually find bulk packs of this stuff at the dollar store for less than wrapping paper, and even bigger packages in craft stores. Usually used to stuff gift boxes or bags, this tissue paper can make beautiful gift wrap with some ribbon or a bow. This brown paper makes beautiful gifts, especially with a little bit of twine. For a bonus pop of holiday cheer, grab yourself a silver Sharpie and decorate it with hand drawn snowflakes. Some stores give out gorgeous retail bags that can easily be reused as gift bags. If you’ve got some that are blank, grab your Sharpies and decorate, or even use some holiday stickers. You can also go for the minimalist look by leaving the bag blank and maybe adding just a pop of colour with a ribbon. Yes, the very same bags you pack up the kids’ lunch in make perfect wrapping material. The end product looks very much like parcel paper. Most of us have a few of these hanging around the house. If you’re giving chocolates, candy, or anything that can fit into a mason jar, just fill it up, slap a bow on it and you’re done. If you have a quilter in the family, or even someone who just does a lot of sewing, chances are you have some fabric scraps lying around. Tie the fabric around your gift with some ribbon or twine and you’ve got an expensive looking gift. Yes, you read right. 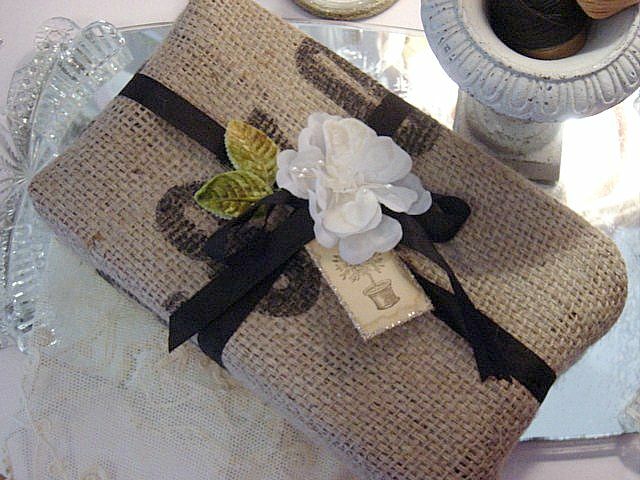 If you have access to burlap sacks, they dress up beautifully with some Christmassy ribbon. See below! Now that we have Google Maps and everyone has their very own GPS in the palm of their hands, we no longer need paper maps. Why not rip some pages out of the map book you grabbed for that California road trip you took back in 1999, and use them as wrapping paper. Add twine or ribbon and it’s a beautiful looking gift! Get your kids to draw holiday scenes for you, and use their drawings to wrap your gifts. The recipients will think it’s adorable, especially if it’s Grandma and Grandpa! 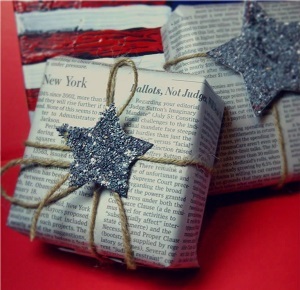 What materials do you use to save on gift wrap during the holidays? Let us know in the comments!